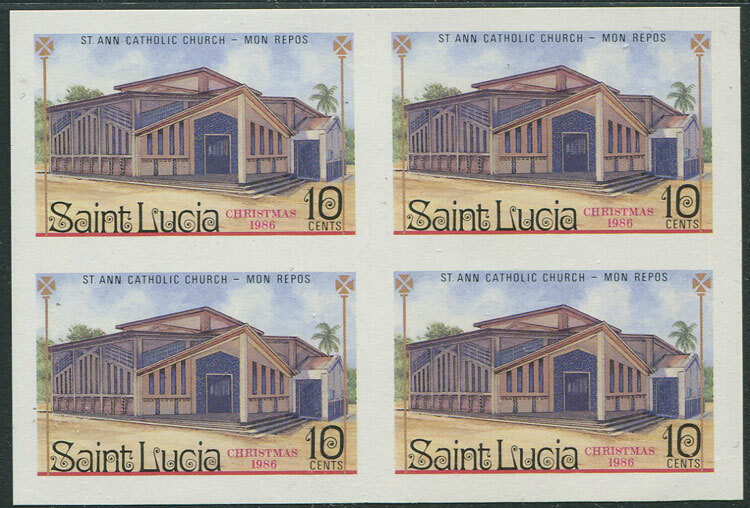 Postage stamps, booklets, flight, censored and maritime mail and philatelic covers of St Lucia for sale. 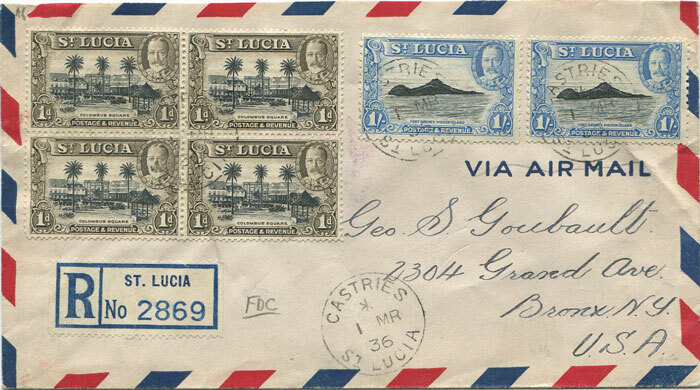 Possibly due to the beauty of the island, St Lucia constantly attracts stamp collectors. The classic stamp issues can form a lovely collection. A plating study is possible but very difficult due to the large sheet size. 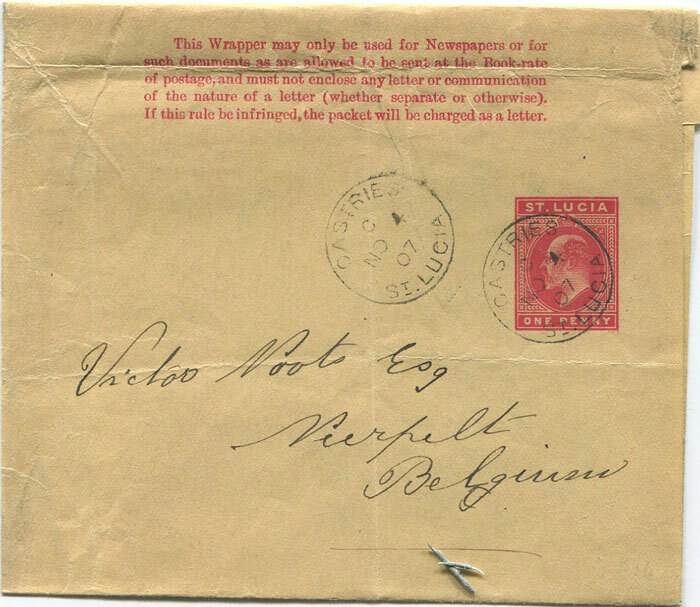 The type set postage due stamps are the focus of attention it seems at the moment while the more recent issues provide a colourful and straightforward collection. 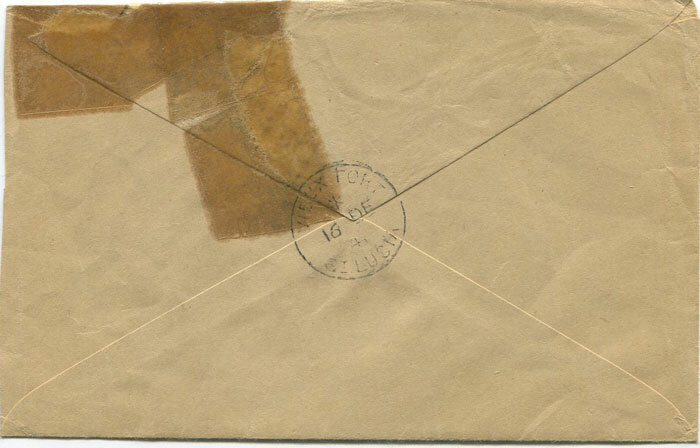 Postal history collectors will struggle these days to find pre stamp covers. 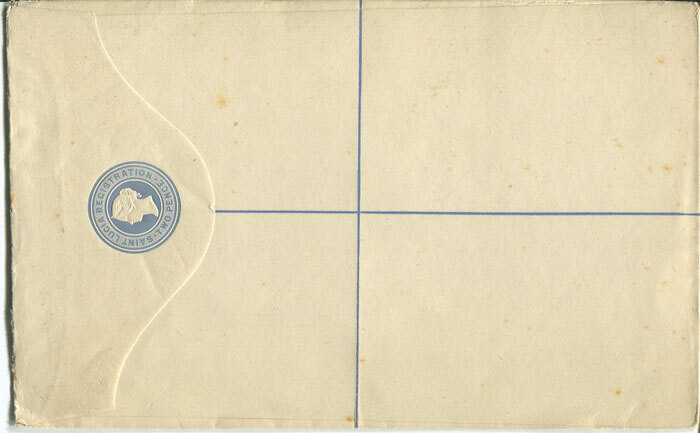 Later Parish postmarks can be found but are difficult on cover. 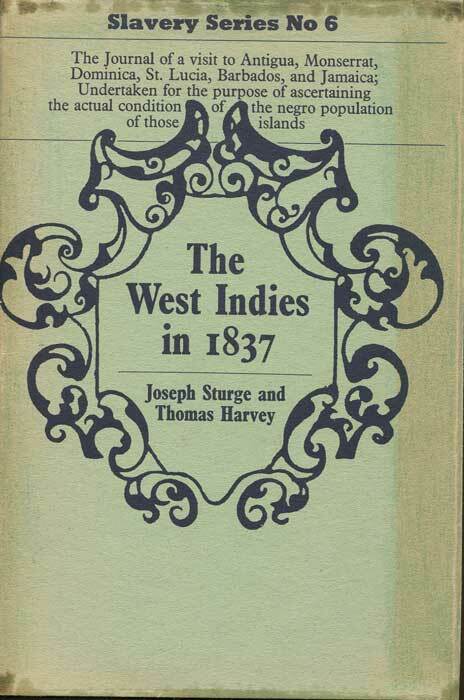 There are two philatelic handbooks on St Lucia:- Dr G.G. 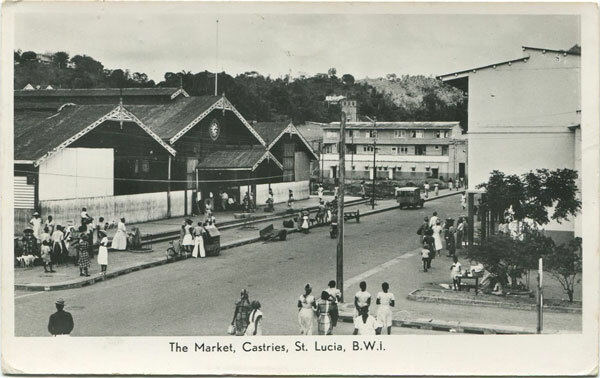 Ritchies "St Lucia. 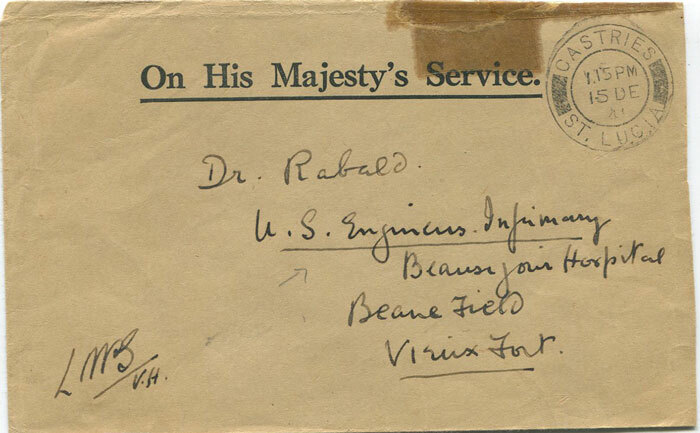 A philatelic history." and Alistair Kinnons new work, "Piton Post." used to Belgium. Ironed out creases. size H2 (H/G3b). Used in 1920 to England with added 1d. Vertical crease at left. 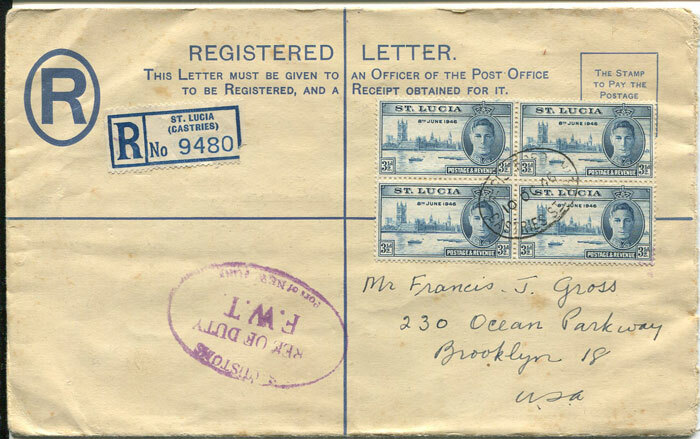 (H/G 4a), used in 1946 to U.S.A. with additional 1/2d franking. Tiny tone spots. 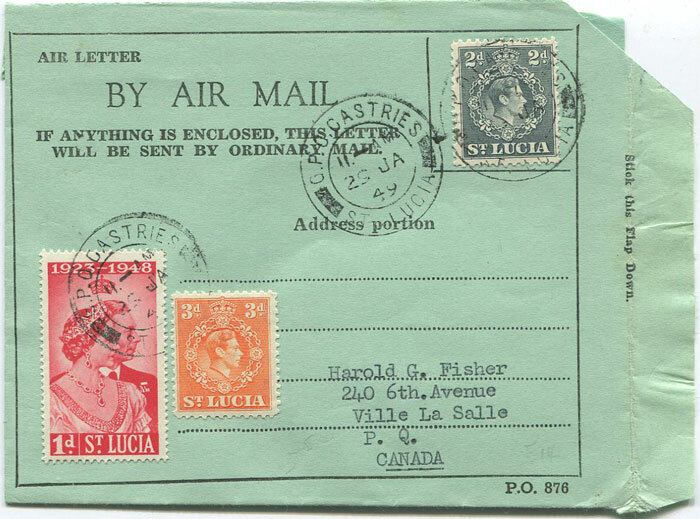 1936 St Lucia Pictorial 1d block and 1/- (2) on registered F.D.C. with Castries and Vieux Fort cds's. Repaired with tape. 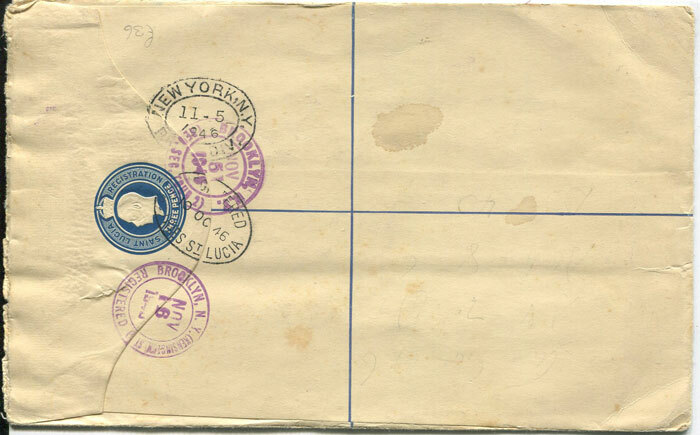 used to Canada with added 6d franking. Fine. 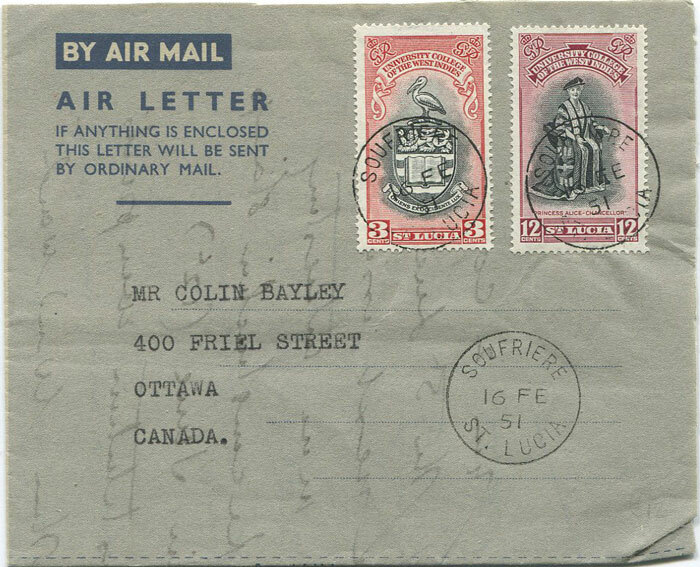 used to Canada with added 15c franking. Fine. 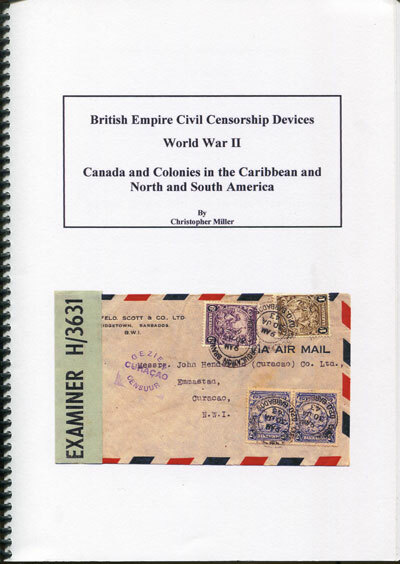 Philatelic Memorial Folder cont. 15c (SG240) plus imperf 15c and 15c M.S. 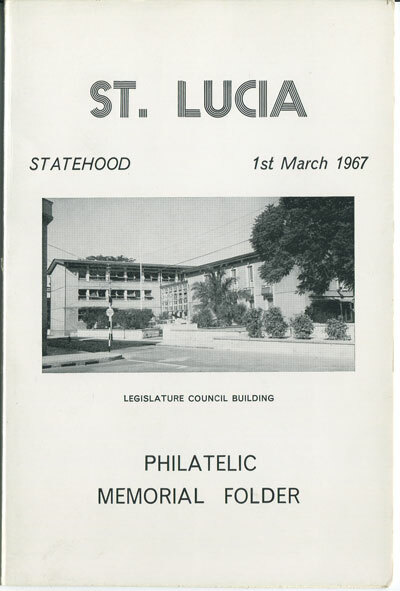 all tied by special Castries St Lucia Statehood March 1967 special pmk. in complete sheets of 25, u.m. imperf block of 4, fine u.m.